Interior design changes with the passage of time. The patterns of our lives shift as we get older. Space requirements connected with work and play, families and hobbies stretch out or contract according to the requirements of the day. Fashion trends have their sway on colours and moods as political and environmental issue focus on what’s happening in the world. But through it all, there are four basic elements at play. These are nature’s sustaining elements — earth, air, water and fire. In his book The Four Elements of Design, the author Vincente Wolf examines each of these forces separately to show us how they can be conjured up by colour, pattern, room design, furniture choices and more. Wolf is a top designer, and has the talent to mix these forces to give a home its unique stamp, one that speaks to the personal lives and loves of its owners. There is an intellectual side to Wolf’s writing that illustrates his love of travel, art, history, myth and astrology. He has many muses. If you are looking for direction, or a pleasing scenario that will inspire your next foray into decorating, this book will give you fresh ideas on how to proceed. As Wolf describes them, Earth Rooms are grounded and steadfast. They are safe havens, a good choice for a family room, kitchen, reading room or media room. Earth walls should feel strong and sturdy, consider panelling, wainscoting or grass cloth and heavy wallpapers. The same goes for the floors. Wood, stone and patterned carpets ground a room. Comfort is key, deep sofas, down-filled pillows, casual multi-purpose furniture such as a large ottoman. Earth rooms love materials that age, weathered woods, patinated metals, and accessories and collectibles that are meant to be handled. Air rooms expand a space. Air has no beginning or end, so to create this atmosphere of spaciousness Wolf incorporates similar light tones throughout the rooms, and removes door frames, baseboards and any mouldings that break the sweep of space. 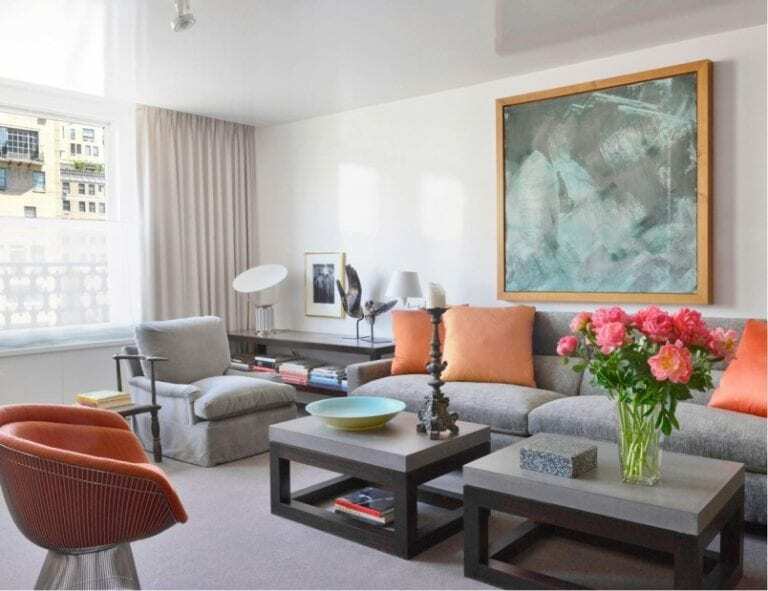 Mirrors are effective, and floating art work in front of solid curtains or wall, lit from behind, not only adds depth but also allows the piece to levitate. Compose an air room with light weight furniture, show the legs on sofas and chairs, choose translucent or semi-translucent materials — glass, plastics. Strie on the walls reminds Wolf of wind-swept sand. Shaggy fabrics, and gauzy materials let the air through. Always edit air rooms to allow for space around objects. Fire rooms are transformative and filled with vitality. The compelling shades of fire demand attention. They range from corals and crimsons to ruby and rust. Wolf turns to the works of the masters to illustrate the power of colour. With red, not much is needed. Debbie Travis’s House to Home column is produced by Debbie Travis and Barbara Dingle. Please email your questions to house2home@debbietravis.com. You can follow Debbie on Twitter at twitter.com/debbie_travis, and visit Debbie’s website, www.debbietravis.com.